The recent interview of Ramateertha by Harideva in the Viha Connection and Ramateertha’s open letter to the Inner Circle have stirred up fresh interest in the topic of intellectual property rights: copyrights and trademarks. We’ve received comments from several people about Zurich-based OIF’s claim to own Osho’s interests in His copyrights, along with requests to open this topic for discussion in the community. We’ve also had questions about the difference between copyrights and trademarks. Copyrights protect the use of the content of creative works that have been “fixed” by digitalizing, printing, writing down, drawing or painting, recording, and so on. A copyright applies to creative works like writing, audio, video, photographs, and artwork. The copyright attaches automatically at the time the work is fixed and belongs to the person who created the work. Trademarks are what they sound like. They protect the mark used to market goods or services in the marketplace. A mark can be a word, phrase, or symbol. The only connection between trademarks and content is that the person who controls a mark can control what content is marketed under that mark. The same content can be marketed under a different name. One writer raised the question of using money from copyrights to support operations in Pune. He had heard a person involved with management there complain that audio copies of Osho’s discourses are being distributed for free (apparently the new cost price in this techie age). He wanted to know what people thought about this. Since OIF doesn’t run the center in Pune, it isn’t clear what the financial connection actually is. Other commentators are concerned that Osho’s work can’t be protected without a copyright. Others argue that with all the compilation books published by OIF or with their blessings, OIF does not protect Osho’s work at all. Some of these books, as well as books published by the “official” Pune publishers, are heavily edited. Osho clearly owned the copyrights to His work during His lifetime, since copyrights automatically attach to creative works at the time they are “fixed” (written down, recorded, and so on). The relevant question today is whether Osho transferred those rights to someone else. 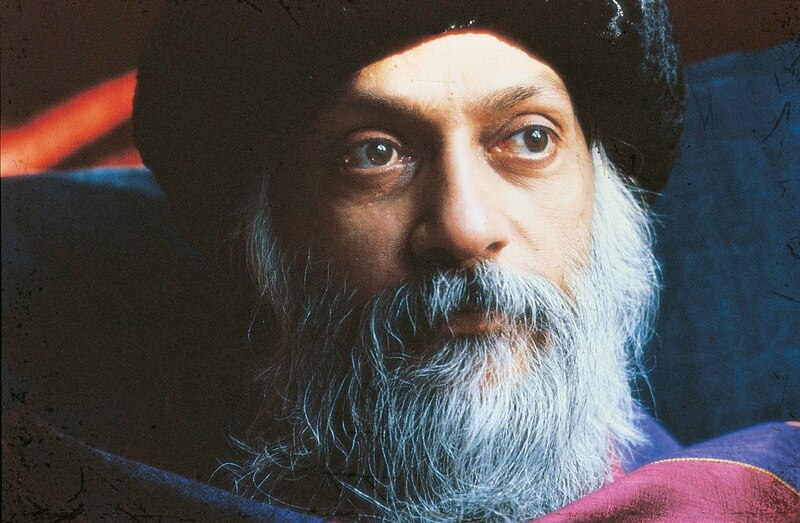 Many people are convinced, from the documents on file at the US Copyright Office (available at www.OshoFriendsInternational.com), that Osho did not transfer His rights to OIF. This raises several questions. If Osho did indeed not transfer copyright interests, should anyone try to pretend He did, in the interest of protecting the work or making money? Could pretending that someone owns Osho’s copyrights ever be successful? Will attempts to do so bring on more coercion (banning, shunning, threatening lawsuits), in an effort to bring people in line behind a questionable claim? What effects would this coercion have on the community? They still have a function – and they will continue to function – but their function is not dictatorial. Their function is to serve the whole world of sannyasins and the people who love me. So their function is not to govern you, their function is to serve you. And they are not organizations, they are simply institutes. And their function has become more important now, because for all the languages that books are being translated into, it has to be seen to it that they are not mistranslated – that the translation is right, that it does not harm the spirit of the message. So it is a great work to take care of all the languages – we need the publication institute to check all the language publications before they are published. Now there are many countries... Just yesterday, a Korean woman was here, and she informed us that more than thirty of my books are translated into Korean, and thousands of copies are available in all the bookstalls all over the country. We have to take care of things. There are countries that are not members of the Bern Convention: they do not believe in copyright. Korea is one of those that do not believe in copyright, so they can translate any book, publish any book. But we can at least keep an eye that the translation is done rightly, that the person who is doing the translation understands me. It is not only a question of copyright; it is a question that I should not be presented in a wrong way – which is possible. Because if they are just earning money, who cares whether the translation is right or wrong? We would like to invite our readers to discuss these issues. We ask everyone to be respectful (no insults, sarcasm, personal attacks, psychological evaluations…) so that we can hold a space for all points of view. Posts that do not follow these guidelines will be removed. As I understand the situation, many requests have gone to OIF over the years, asking to use Osho quotes in various kinds of publications: books, memoirs, people’s personal stories about meeting Osho, etc. Almost invariably, OIF wants to see the proposal, assess its worth, and give or withhold permission. One of the key issues in permitting “fair use” is public interest. For example, Osho is a public and controversial figure. He might well be described as one of the most radical philosophers of the twentieth century. Therefore, it greatly benefits the public to understand him from as many different perspectives as possible. Let’s say, I’m totally opposed to Osho’s teachings and regard him as a danger to society. I want to write a book showing how immoral and subversive are his teachings. Now, clearly, OIF is never going to give permission for a book like that. But, equally clearly, it is in the public interest to have access to my views, since it broadens the public’s general understanding about Osho and his work. It encourages debate and discussion. It widens the public’s knowledge about a controversial figure. So, with full legal protection, I can use long quotations from Osho in my book, refuting each of his statements as I go along, and OIF cannot do anything about it. If they take me to court, they are certain to lose. Similarly, if you have personal stories about Osho, or if you want to use Osho quotes in your book, you do not need permission to do so. Why? Because your use of Osho, in your particular context, is broadening public understanding about this controversial mystic. You’re adding to the body of knowledge that is available to the public about Osho. The chat you had with him, over a cup of tea in Woodlands in 1973, or the relevance of his vision to your book on quantum physics, deepens the public’s understanding of this extraordinary man. Osho’s public stature is your protection. If you want to play safe, then keep each quotation under 300 words, because this has been adopted as a general “fair use” guideline. But longer quotes will also be okay, especially if you break them up into short sections of direct quotations, while paraphrasing in between. But for those of you who just want to write about their personal memories, or use a quote here and there, or talk about Osho’s views on various subjects, have no fear. Feel free to quote the Great Rebel. He’s public property and your right to comment will be protected under the law. Another writer points out that if there is a legitimate copyright holder, and if you are relying on the fair-use rule for protection, you need to make sure you attribute material by Osho to Him to avoid claims of plagiarism. You can’t take a quote or close paraphrase of Osho and use it as your own work. Sourced from our Osho magazine, the Viha Connection.